What: The Bucks make their IFL debut when they visit the Danger. When: Saturday, February 23 at 5:05 p.m. pacific (7:05 p.m. central). Where: Eihusen Arena; Grand Island, Nebraska. 2019 Head to Head: March 30 - Danger at Bucks. Note: The Bucks come in as one of two teams which switched from Champions Indoor Football. The home of the Danger, Grand Island, also serves as the head office of the IFL. The Bucks made the jump from the CIF after two seasons in that league. They made the playoffs both season, but did not advance to the title game. They are the northern-most team in the IFL. The Bucks are coached by Rod Miller. The Danger started out the gate hot in 2018, going 3-0. They were hit by the injury bug. They struggled the rest of the way, but still made the playoffs. IFL Hall of Famer Pig Brown was named permanent head coach following the season. 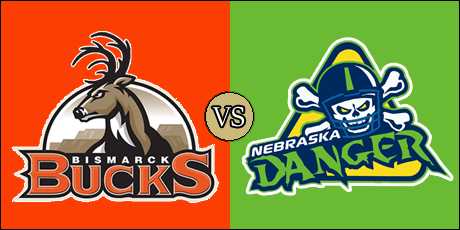 The Bucks embark on their third season, and first in the IFL, when they visit central Nebraska to take on a revamped Danger squad. Bismarck finished 5-7 in each of their previous two seasons in Champions Indoor Football, being eliminated in the conference semifinals in both seasons. Rod Miller is at the helm for the Bucks after serving as associate head coach and defensive coordinator for the CIF's Omaha Beef. He also has worked stints as an assistant coach with the Arena Football League's Philadelphia Soul and as a head coach in the China Arena Football League. Despite making the playoffs last season, the Danger just squeaked in while trying to rebuild the offense all season long. Pig Brown, the co-interim head coach, was promoted to the permanent position immediately following the regular season. Former Danger Stalwarts Jameel Sewell and Xzavie Jackson had joined the staff as assistant coaches. The Bucks possess a promising roster, including wide receiver Mike Tatum. 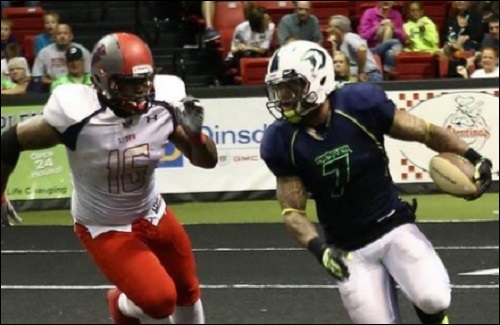 As a receiver and kick returner, his 6.976 all-purpose yards are tops for IFL career leaders. 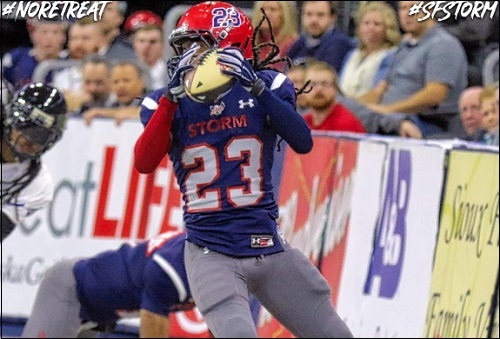 Tatum comes over from the Sioux Falls Storm, where the four-time United Bowl champion caught 10 touchdown passes in 2018. John Gibbs, a 6'6" product of Alcorn St. University, led the Omaha Beef in passing yards with 886, as well as rushing yards and rushing touchdowns with 213 and 12, respectively. Brandynn Clark is a wide receiver who comes over from the Beef, as well as the Storm. Clark had one of the more acrobatic touchdown receptions last season. He also recorded six touchdown catches in 2018 for the Beef. Defensive back Antwan Smith returns to the Bucks after leading the team in tackles with 82, and four fumble recoveries, in 2018. He also broke up a trio of passes and added two interceptions. Following an injury to Damien Flemming in game three last season, the Danger were never able to find themselves a consistent option at quarterback. Enter rookie Tommy Armstrong, perhaps one of the most accomplished QBs to come out of the storied program at the University of Nebraska. He set records for career passing yards and touchdown passes with 8,871 and 67, respectively, as a Cornhusker. Armstrong will have a pair of talented receivers in Troy Evans and Gregory Dent, Jr. Evans' 6.346 all-purpose yards put him fifth all-time in the IFL. He returns to the Danger after having played for them most recently in 2015. Dent was a positive noted for the Danger last season, accumulating 54 catches for 531 yards and 10 scores last season. Former Alabama St. defensive back Najee Bright, who recorded 54 tackles in 2018, also had six pass break ups for the team. The statistics are not yet up for this game. Updates will be posted as they become available. Still no stats or updates out of Nebraska. I have the game on and we will try to extrapolate as best we can. Touchdown Danger. Tommy Armstrong 3 yard run. Jerod Haynes kick. Touchdown Bucks. Mike Tatum 3 yard run. 2pt rush failed. Touchdown Danger. Gregory Dent 30 yard pass from Tommy Armstrong 3 yard run. Jerod Haynes kick. Touchdown Danger. Seyvon Lowry 0 yard fumble recovery. Jerod Haynes kick. Touchdown Bucks. Mike Tatum 13 yard pass from John Gibbs. Blake Levin kick. FG Danger. Jerod Haynes 28 yards. Touchdown Danger. Dvnt Sapp-Lynch 3 yard run. Jerod Haynes kick. Touchdown Danger. Eric Thomas 27 yard pass from Tommmy Armstrong. Jerod Haynes kick. Touchdown Bucks. John Gibbs 16 yard run. 2pt pass failed.